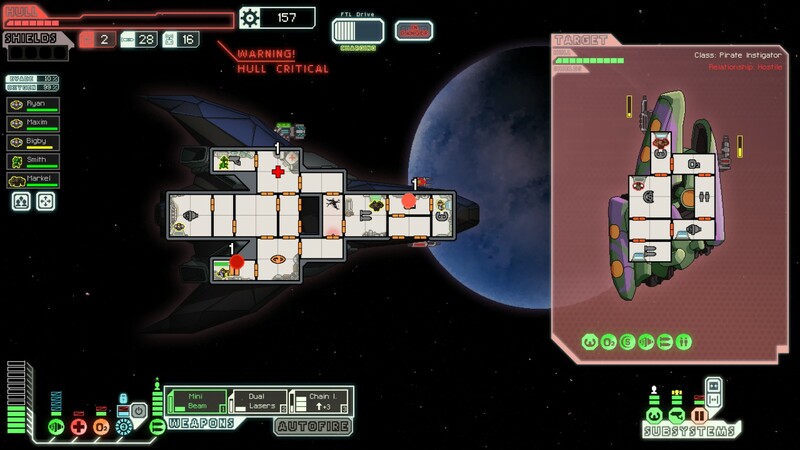 FTL: Faster Than Light makes you the captain of your own starship (ala Star Trek), with a unique focus on simulation rather than traditional first-person combat. These are just some of the many tactical options available. However, many of these decisions–from defensive positioning to when to fire your battery of flak cannons–must be made quickly. 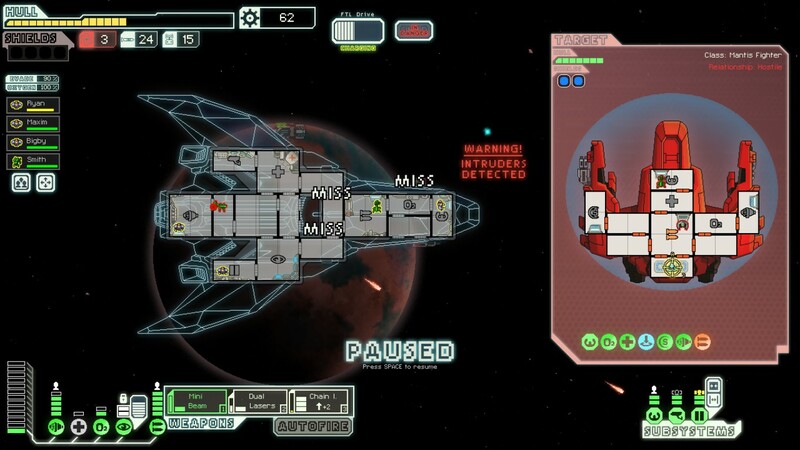 My Shields have been knocked down, the Rebel Flagship attacking me is cloaked, my Weapons system is damaged and my veteran Shield operator is about to die…What do I do? To ensure players of all skill levels can enjoy the game regardless of reflexes, you may pause the action at any time by pressing the Space bar. 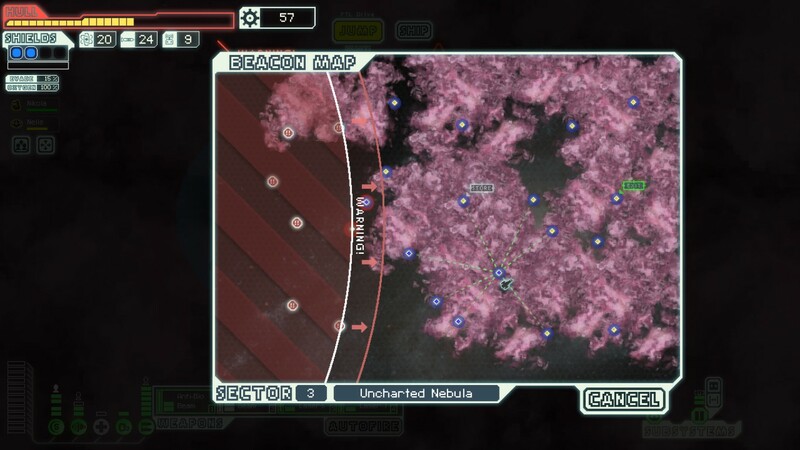 This places any tactical mistakes squarely on the player, as you are given essentially unlimited time to plan your strategy. All of these opportunities for emergent tactics wouldn’t mean much if confined by a traditional “campaign” structure. 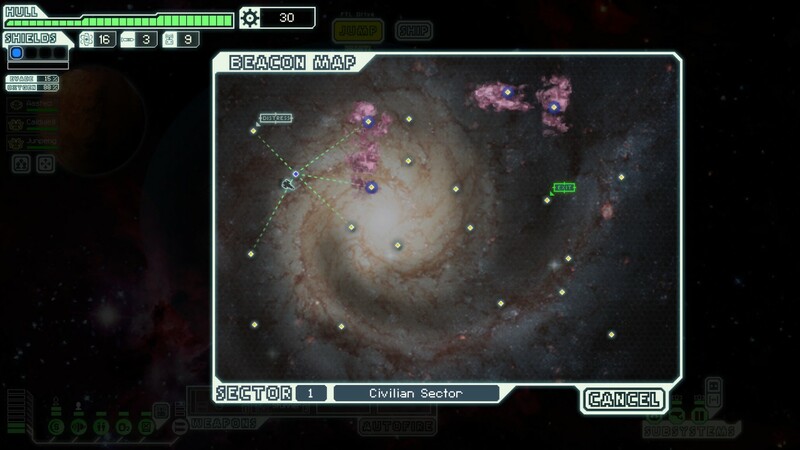 FTL solves this potential issue with a clever Beacon/Sector map system. 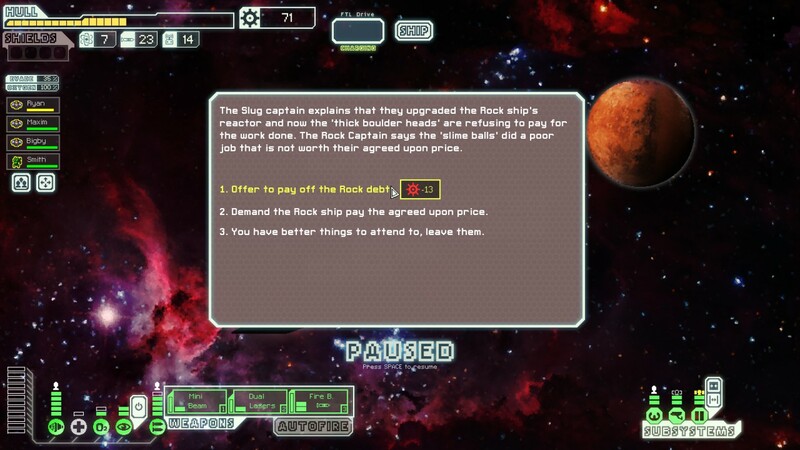 Your choices determine how events unfold and may result in rewards or permanent damage to your ship/crew. 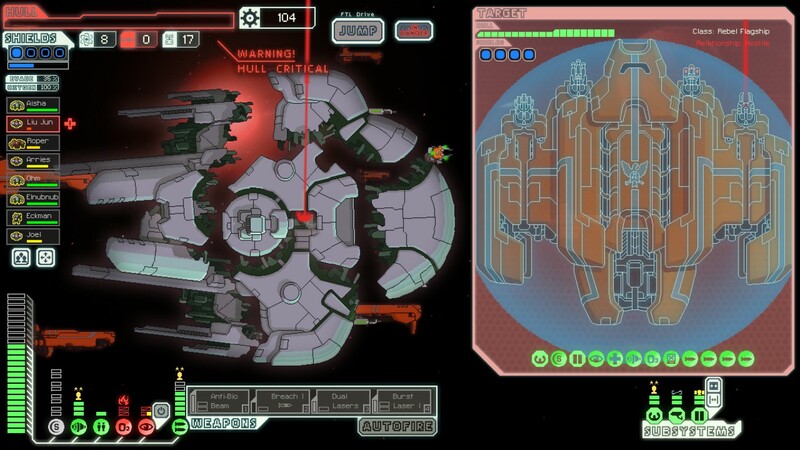 In the example below, your actions earn the Stealth Cruiser vessel for use in future playthroughs. 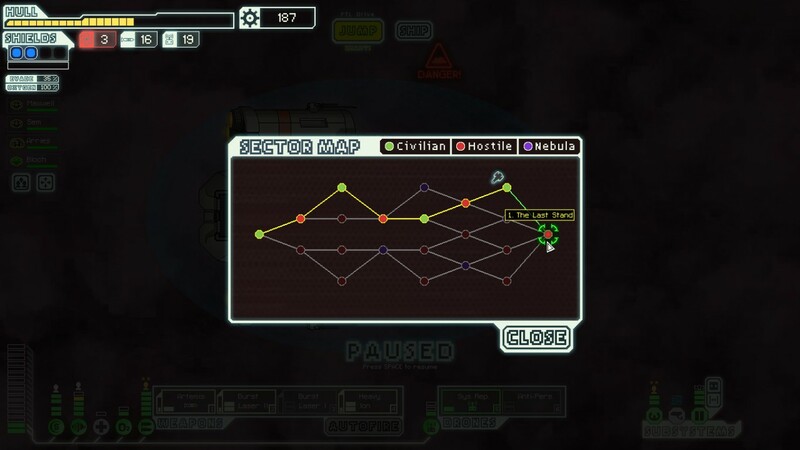 No matter what quests you take and what decisions you make, everything leads up to “The Last Stand” at Sector 8. 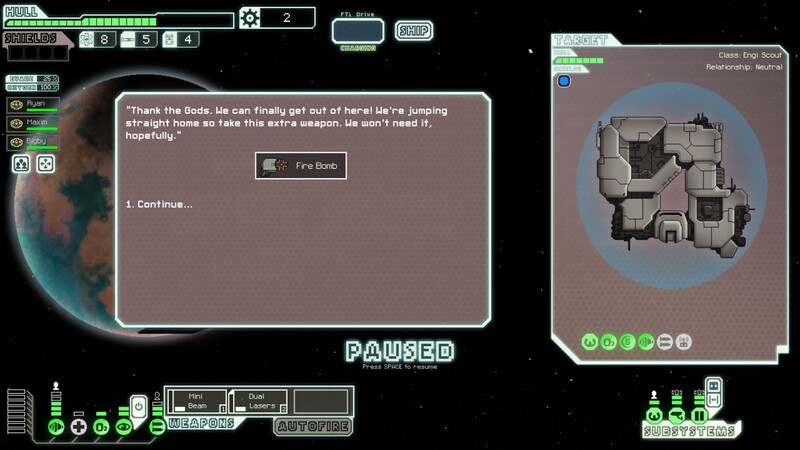 Since FTL: Faster than Light is a roguelike, death at any point is permanent. 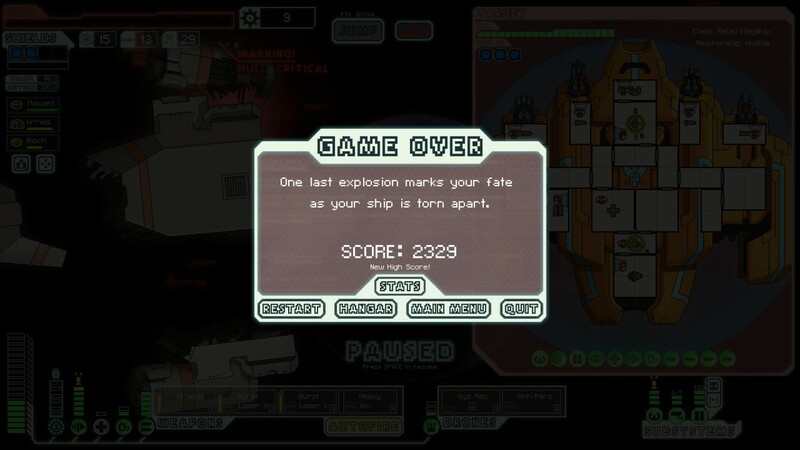 Permanent death, combined with the various simulated/randomly-generated elements above makes FTL an extremely challenging game. 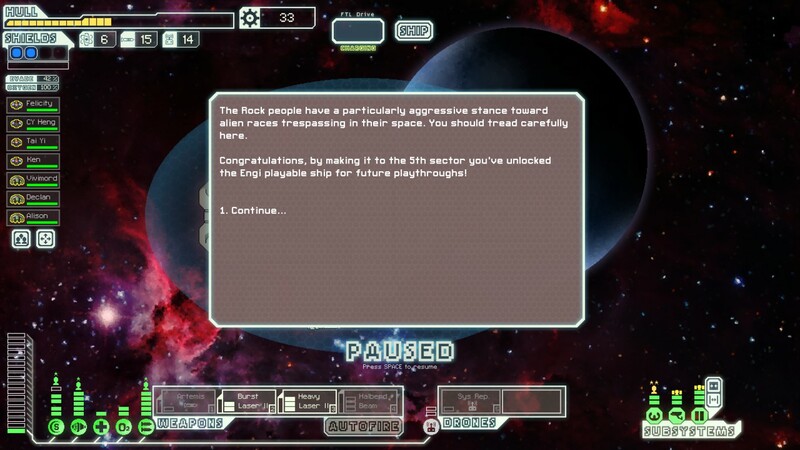 Getting to the 5th sector for the first time is considered an achievement (and unlocks the Engi ship for future playthroughs). 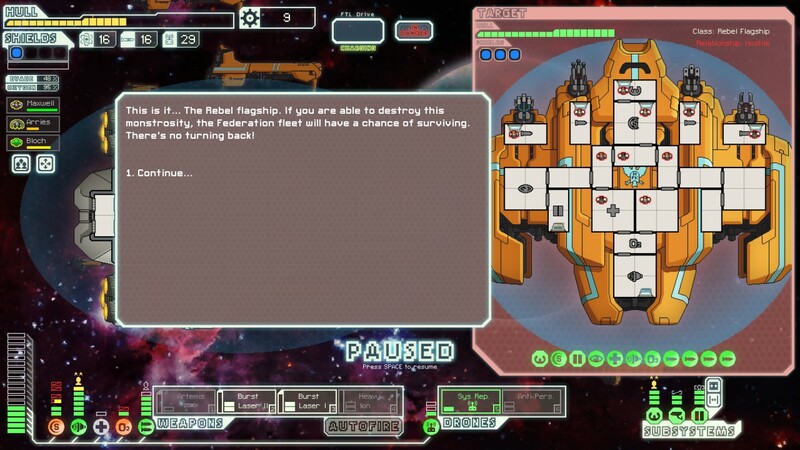 However, investing the time to learn the games’ systems and how to be an effective player make this Victory screen one of the most rewarding sights in gaming. 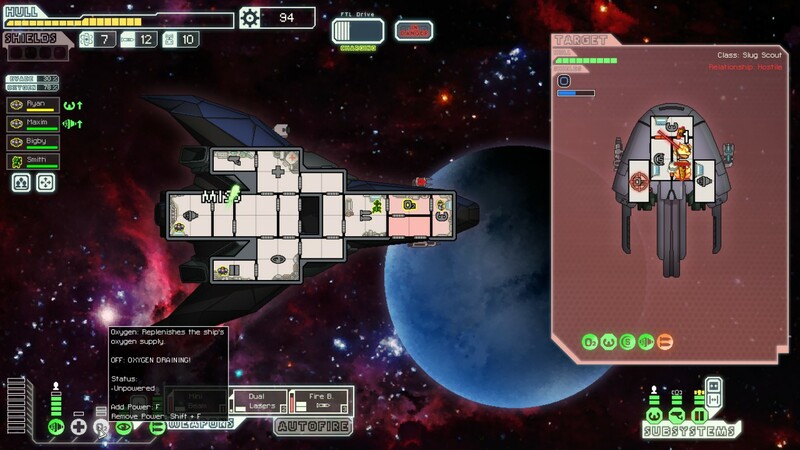 The incredible design of FTL: Faster Than Light shines from every random encounter, every last-ditch flooding of the airlock and every panicked slam of the “Retry” button. Unfortunately, we also see some attitudes regarding God and religion that seem out of place. 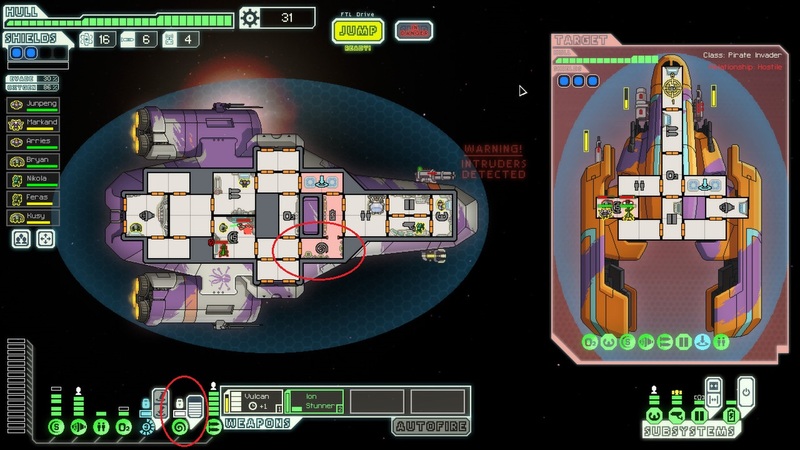 One of the systems you can have on board your ship (such as Hacking, the Medbay, etc.) is Mind Control. 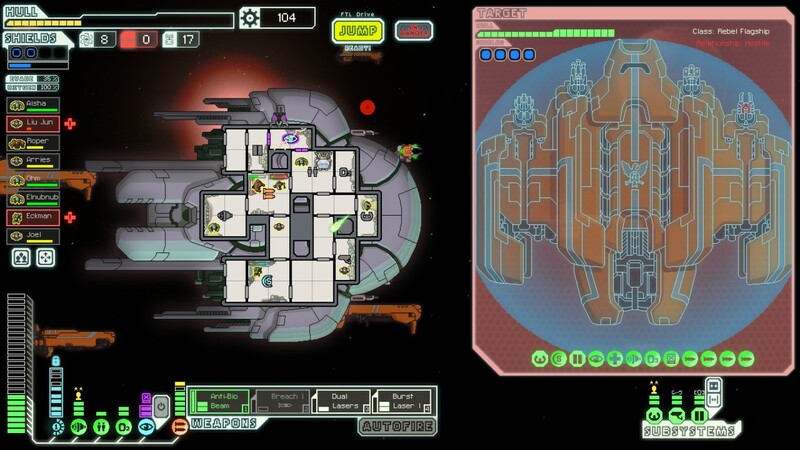 This turns one of the crew members of your opponent into an ally, wreaking havoc on the enemy ship. Red circles surround the Mind Control system icons. 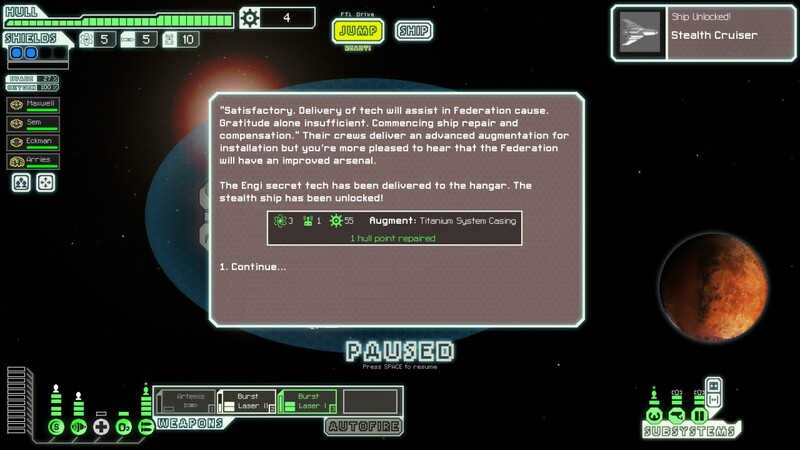 One random event has a crew “Thank the Gods” after you supply them with fuel. 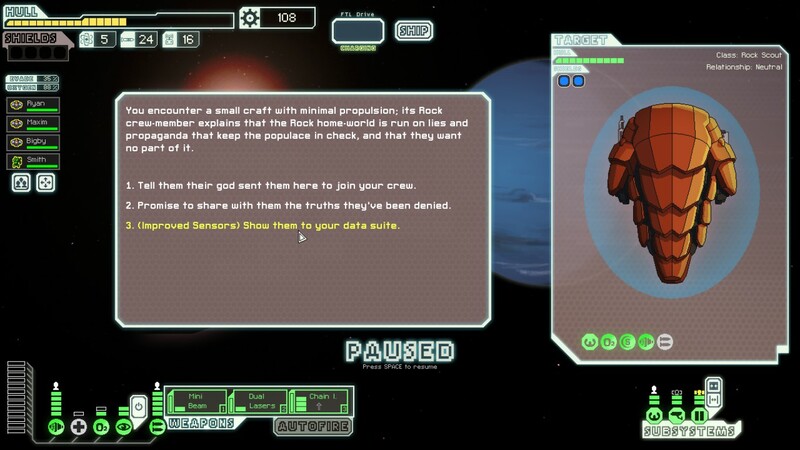 A Mantis rescued from an escape pod can also consider you “a messenger from the god of mercy” and demand to join your crew. 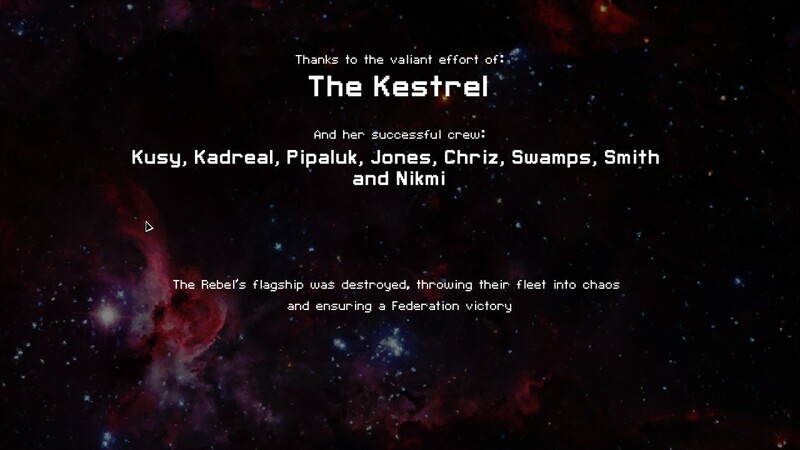 On the other hand, if you promise to share with them the “truths they’ve been denied” or your suite of scientific data, there is a chance for them to join you as members of your crew. 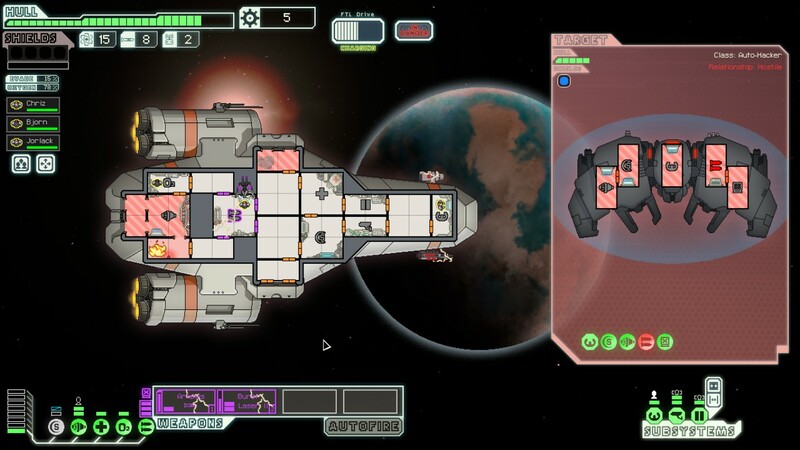 This entry was posted in Uncategorized and tagged Bible, christian, christian gaming, christian review, christianity, design, Faster Than Light, FTL, gaming, God, indie, Jesus, KJV, paid, PC, quality, randomly-generated, replayable, review, roguelike, salvation, Steam, unlockable, video game, video games, video games and the Bible, Video Games and the Bible Highlights, Video Games and the Bible Reviews, Video Games and the Bible Video, videogames. Bookmark the permalink.